Wedamor – Great to have you at Wedamor, let’s start the interview by knowing a little about the force behind Knots & Vows and how it came into existence? Knots & Vows – Jake & Alistair are the Co-Founders of Knots & Vows. We come from a strong IT background with 14+ years of collective IT experience amongst us. Knots & Vows started off way back in 2009, when we were still working in corporate offices. What started off as a hobby soon turned into a passion when we were requested to shoot concerts on weekends. It was there that we fell in love with low light photography and got introduced to photojournalism. Soon one event led to the other and somebody asked us to shoot a friend's wedding. From there on, we never looked back and here we are 8 years later! Wedamor – As they say, better late than never, but being from a technical background, what inspired you to try professional photography and make it a profession? Knots & Vows – Being from a technical background, getting to know the camera always piqued our interest. We would always try to push the boundaries to know what more we could do with it. 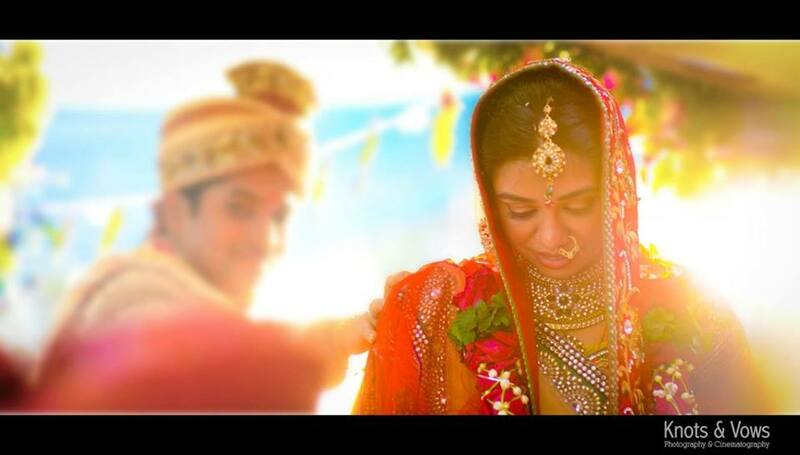 The idea of ‘Candid Photography’ was just about catching up in the Indian wedding industry. There were only a handful of people who truly believed in the idea of photojournalism. There was a clear gap in the industry for this niche skill. People were seeking this form of photography for their wedding and we fit it in comfortably. Like any new business, it was difficult initially with a steep learning curve. It was easy being a photographer, but difficult being an entrepreneur along with it. Making it a profession was a big decision for us but we knew it was the right time to take the plunge. You can’t have your feet in two different boats. Wedamor – Indeed, moving ahead we would like to know about the services you are offering and what makes you different from your competitors? 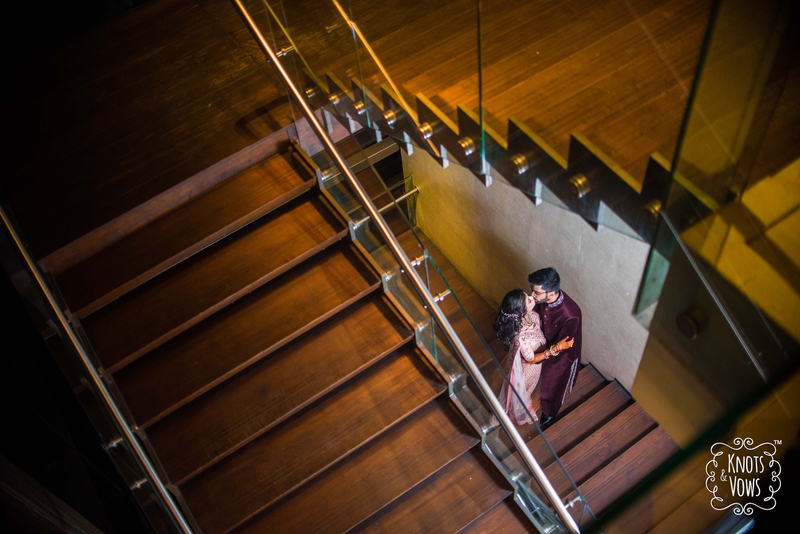 Knots & Vows – We started off only with Photography and soon learned that the industry was looking for teams which provide all services under one roof. We then quickly expanded our team to include a lot more services. Having covered 300+ weddings, we passionately bring with us years of knowledge and experience. We use the best equipment in the industry to make sure that we capture moments and memories rather than just photographs. Wedamor – You have covered a number of weddings from different parts and culture. Which one remains your favorite and why? Knots & Vows – It is very difficult for us to select a single image as our favorite, simply because there are so many types of photographs taken at weddings, and in addition, there are the stories behind every image that make the picture special or not. Here are a few pictures we love. 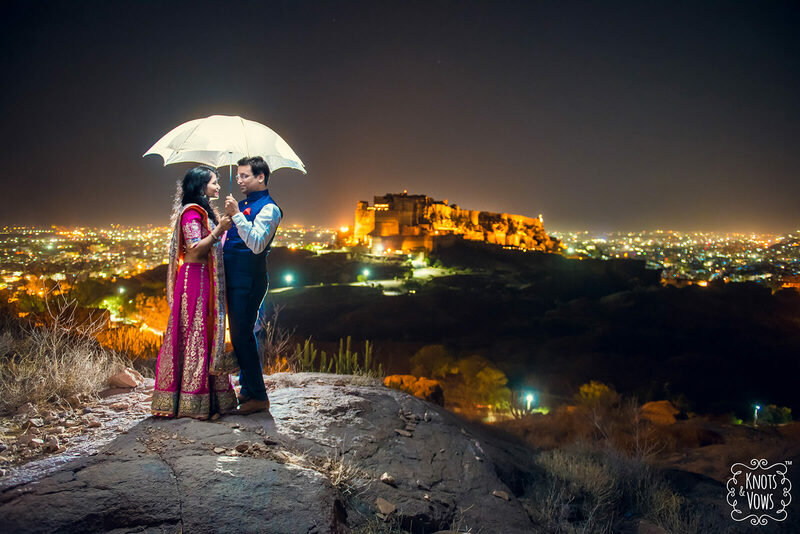 The fact that we hiked up a hill in the darkness of the night in Jodhpur, just to get a few shots with the majestic Mehrangarh fort in the background is a testimony to why we love this picture. This picture was clicked at the fag end of the Sangeet function at Suhani & Gyanesh wedding at the Wankhade Stadium Garware club. We had to make it do with just the stairs that were available for us to come up with this picture. Wedamor – Those are absolute gems. 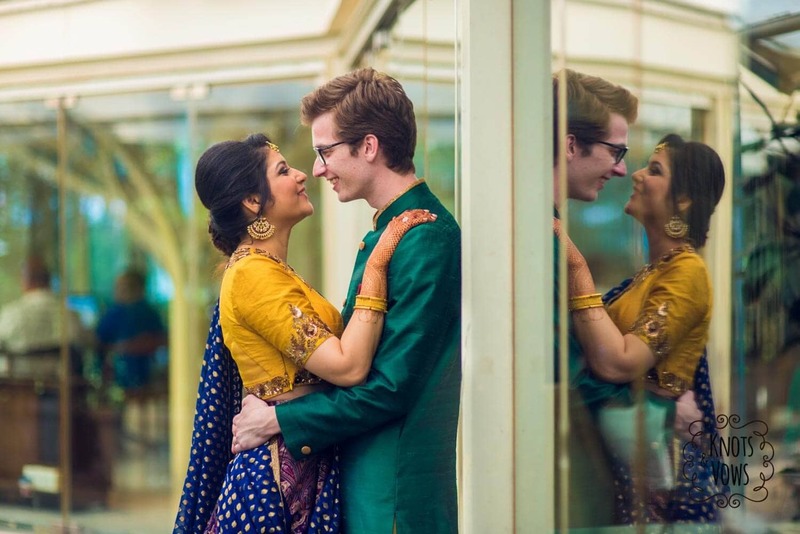 One question that keeps coming back is how wedding photography is different from photography in general and how difficult it is to show the chemistry between the couple on camera, especially in the case of arranged marriages? Knots & Vows – With other forms of Photography, you take your time to compose, style the subject, background, check for light and then shoot. Wedding Photojournalism as we like to call it as more run and gun style of shooting. You do not have the time to do any of the above unless you are doing a couple portrait shoot. You need to know what happens next and where it happens and position yourself before it happens, and still come up with brilliant pictures. It takes a lot of practice to gauge the light and change the camera settings without even looking at the camera many-a-times. You need to know your equipment in and out. You need to know when to use the right lens and the working distance of each lens. Couple chemistry is a different ball game altogether. It rarely matters if it is an arranged marriage or a love marriage because people are always conscious in front of the camera. It is very important to talk to the couple, get to know them and build a good rapport with them. This takes the awkwardness out of the equation and the shoot becomes easier. Wedamor – Which aspect of your work excites you the most? Knots & Vows – Photography of course. That will always be the first and foremost exciting part. But adding to it meeting new people, building relations, traveling, experiencing new cultures makes it a complete experience. Wedamor – How has the journey been so far and what are your future plans? Knots & Vows – The journey has been spectacular and Knots & Vows has been growing steadily over the years. We intend to keep up the growth and maintain the position. Knots & Vows has become a brand today. We also are working on some other video related projects, the details of which we will be divulging as soon as the time is right.